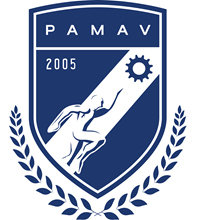 PAMAVTECH was formed in 2005 to offer competency training programs and continuous education that offers up-to-date skills and relevant knowledge through exposure to various current industry practices. Our highest regard for distinction has been built on the principle of global standards; we believe that prospects for development are abundant but the skills necessary to be a successful practitioner are often beyond university learning. Hence, we are committed to equip you with the international standard knowledge and the necessary competence to prosper in the ever-evolving industry. Our board of directors and management team are experts in their field; they bring with them, more than 100 years of collective experience and knowledge in the academe and engineering industry. PamavTech provides courses that are suited to goals of your personnel and to the organization. These can be customized and facilitated at your own facility. To: Pamav Training Institute & Technology Center, Inc.